Excellent all rounder once you get used to the forward geometry..
Mondraker Foxy Carbon XR (MSRP $8100) — Great news on this discipline are awaiting us this upcoming 2015 season. The Foxy Carbon is definitely the star product of the range and shows the ideal potential every bike should have. 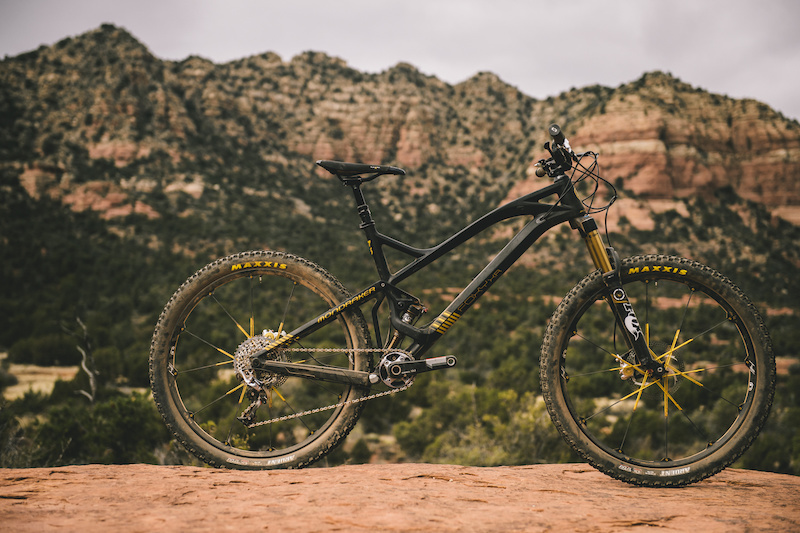 The Foxy series has received aesthetic improvements and enormous prestige after having won the Bike of the Year 2014 while the Vantage series has consolidated its leading position in the discipline of All Mountain Hardtail. The renewed Factor has a new frame with 120mm travel and 27´5” wheels. It is expected to be as successful as in previous seasons. The new 29er Crafty is a novelty in 2015. Its design is intended to become the most versatile model of an all-mountain bike and provide the rider with extreme power thanks to 29er wheels. 29er fans will be delighted to see the three bikes comprising the Crafty range.